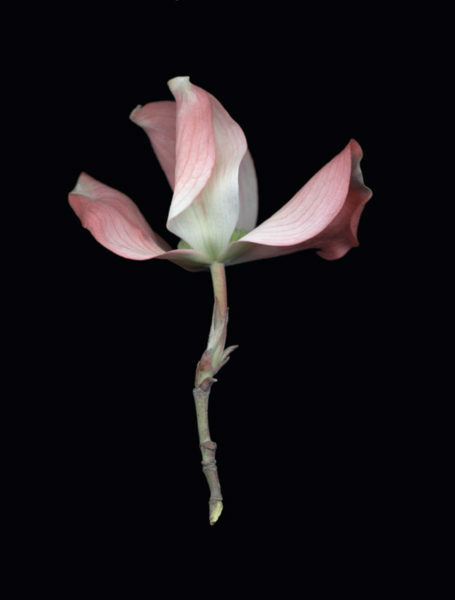 Joyce Tenneson—Botanical Beauty presents work drawn from two portfolios by the artist, both of which feature atmospheric, poetic photographs of flowers in high contrast with a black background. The first series, Flower Portraits, presents sepia-toned images of flowers in decay. Tenneson has adeptly captured movement, wonder, and vibrancy in them, as well as a sublime beauty. Intimacy, the second portfolio, features a wide variety of flowers, photographed in color in a sensuous, almost ethereal, manner. These two series together encourage viewers to study the unique shapes, textures, and marks of individual flowers and, in so doing, to celebrate biodiversity and the life cycle of plants.